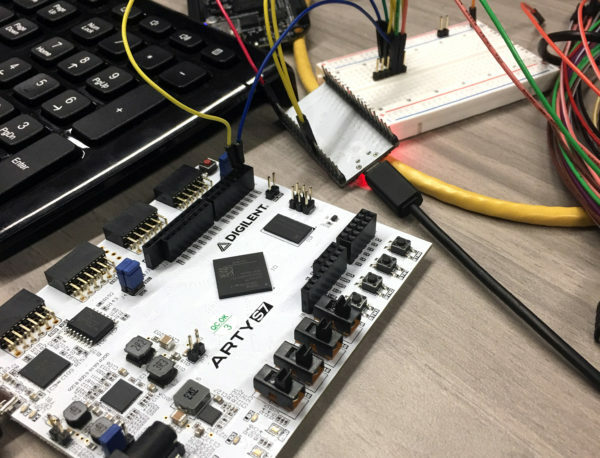 This past month during our #IHeartFPGA campaign we have discussed a variety of FPGA related topics covering everything from introductory to intermediate/advanced understanding, with a handful of suggested boards to support your development needs. With so many FPGA and Programmable Logic options to choose from, it is not surprising that every user has their own unique recommendation for the best boards to use at any level of development. And as our month-long appreciation draws to a close we realized that we were quickly approaching a point where quite a few hardware options were still going unnoticed. Thankfully it just so happened that some of these boards were recently featured in an article published on All About Circuits by a contributing author reviewing “Three of the Top FPGA Dev Boards for New Designers“. The features on the Arty S7 support a variety of development functions with the added capability to extend project functionality with Digilent Pmods. Getting started is also worry free with the support of the Digilent Wiki, which provides multiple tutorials and example projects, and the Digilent Forum to help answer any questions that might arise. Similar to the Arty S7, a number of helpful resources are available on the Digilent Wiki to support users’ development dreams with the Cmod A7. 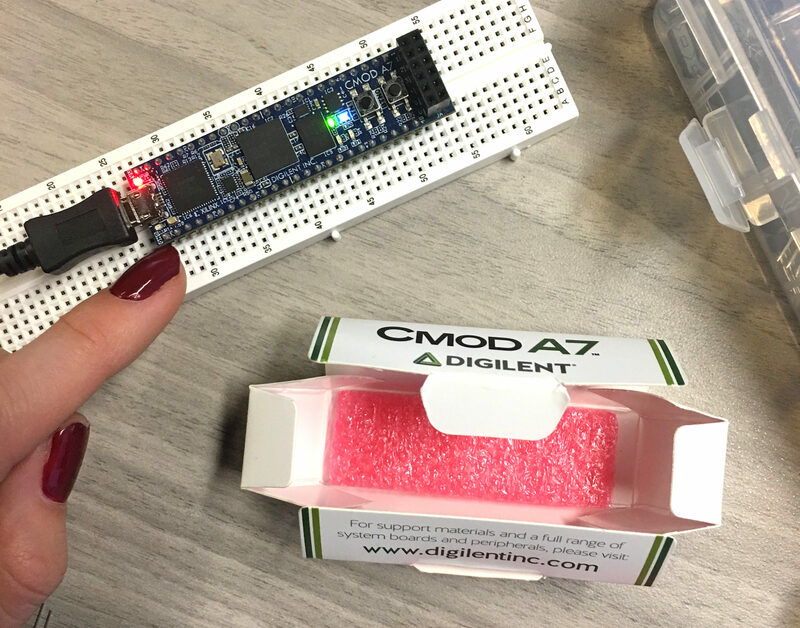 You can also find additional resources on Digilent Projects by quickly searching for your favorite FPGA (or even uploading your own project and sharing your progress as you begin developing with FPGAs!). Read more in the original review on All About Circuits complete with Krambeck’s full list of FPGA hardware suggestions. Then let us know in the comments below what boards you would recommend to FPGA beginners! We greatly enjoyed hearing about and watching your FPGA inventions come to life this past month and can’t wait to see where your development projects lead you. Make sure to continue using the #IHeartFPGA hashtag for a chance to be reposted on the Digilent Instagram and stay tuned for future developments coming soon to our FPGA lineup!